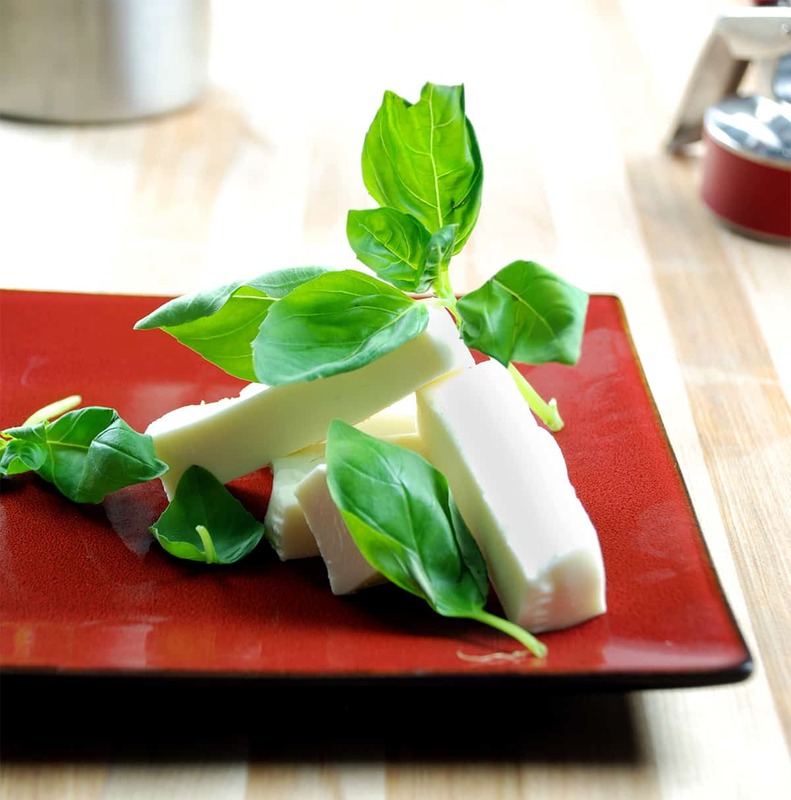 I first saw this concept on the Ideas In Food blog and it's a great way to make flavorful mozzarella. The aroma of the basil is transferred to the mozzarella, flavoring it and imbuing it with basil essence. Once the mozzarella is infused I like to serve it in a flavorful salad by adding roasted cherry tomatoes and pine nuts. If you would like more information about the modernist techniques, ingredients, and equipment used in the basil infused mozzarella recipe you can check out the following. Combine all ingredients in a whipping siphon. Seal the siphon, charge it, and shake well. Let the mozzarella sit for 2 minutes then vent the siphon. Remove the mozzarella and basil then serve. During the whipping siphon infusion process the aroma of the basil is transferred to the mozzarella, flavoring it and imbuing it with basil essence.